"Welcome to the 8th Annual WT White Community Street Fair! The Street Fair brings together the families and businesses residing within the WT White High School boundaries for food, fun, games and fantastic shopping opportunities. Attendance is free; booth registration incurs a small fee. Booth Vendors will have 3 hours before the event start time to setup. Booth registration ends on Friday, March 16, 2018 at midnight. Every effort will be made to limit the number of similar booth types. Please consider donating an item to the WT White PTSA Raffle drawing - all raffle proceeds will benefit the WT White PTSA Scholarship Fund. We look forward to seeing you then!" "Big event for this Christian preschool! Large 5k/fun run in the morning and then the craft show follows"
"Eggstravaganza and Spring Festival is Park Glen's biggest event of the year! The Easter Bunny will be there to take pictures with the kids! 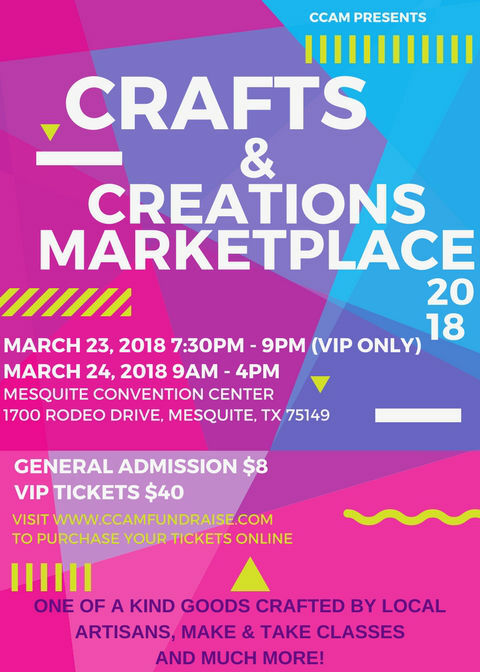 We will have age appropriate egg scrambles, balloon creations, face painting, food, music, bounce units, vendors and crafters and lots of family fun!" "Craft fair with booths from hand made items to direct sells, free kids activities, performance and free entry." 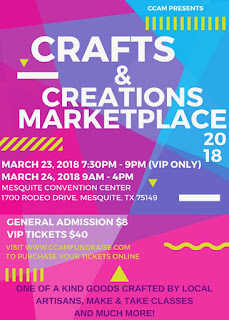 "Come enjoy our Craft Fair that will encompass multiple vendors with many unique and one of a kind items!" Right across the street from Handley Elementary School. "Unique treasures, latest boutique fashions, trendy home decor, hand made timeless jewelry! You don't want to miss out on Rockwall's New Hometown Market. Free activity for kids! Come meet the Easter Bunny! Free Parking. Free to Attend."